I found a beat-up copy of Watership Down on my mother’s bookshelf. I was in the 7th grade and especially interested in reading what my mother read. A few weeks after finishing the book, I read it again. And before 7th grade was over, I read it a third time. The next summer I tried to save the loves of orphaned wild rabbits but hiding them in my closet. Now I draw rabbits in my art. This bunny pictured here goes around town in my purse, and sometimes I take pictures of him out and about. Here he waits on a picnic table. 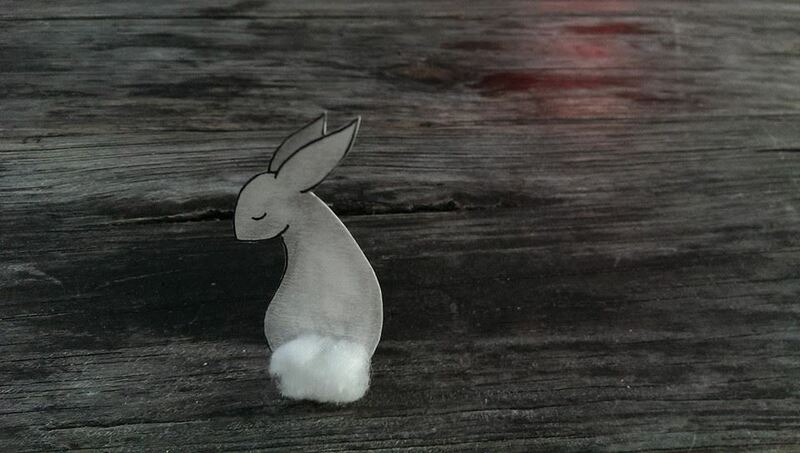 I’ve made a short handmade book about two rabbits as well. I’d like to make a short animated film even though i’ve no idea how to go about it. What book from childhood stays with you one way or another? I think it’s really quirky how you do this with the rabbit! I read everything Jane Austen. And my great love was Ballet, so I read Ballet Books and all the Ballet Shoe stories by Noel Streatfeild.